The Raley's Fulton Market Place is ideally located in the fastest growing residential area of Santa Rosa. Full Description: A 120,000 square foot community Shopping Center anchored by a Raley's Grocery/Drug Store and Ace Hardware. Pad tenants include McDonalds, Taco Bell and IHOP. Shop space sizes vary from 712 square feet to 2500 square feet. Store Specifications: Interior improvements include heating, air conditioning, acoustical tile ceiling with lighting, fixturized restroom, concrete slab floor, finished unpainted walls, electrical outlets, glass store front and doors. Retail shop space is sixty (60) feet deep. Comments: The Raley's Fulton Market Place is ideally located in the fastest growing residential area of Santa Rosa. In addition to having Raley's as a proven performer and major draw to the site, the excellent access from Guerneville and Fulton Roads ensures substantial customer traffic from well beyond the immediate trade area. This is the last retail off-ramp before you visit Lake Shasta which generates over 1.5 million visitors annually. Location: Interstate 5 and Casacade Blvd. Full Description: A 22,278 square foot Neighborhood Center anchored by a 17,278 square foot Rite Aid drug store with a planned Starbucks Coffee occupying a portion of the adjacent 5,000 square foot retail building. Comments: The Shasta Rite Center is ideally located adjacent to I-5 and Shasta Dam Road. This is the last retail off-ramp before you visit Lake Shasta which generates over 1.5 million visitors annually. The Center is located at the busiest intersection in Shasta Lake and has a trade area population of approximately 18,000. 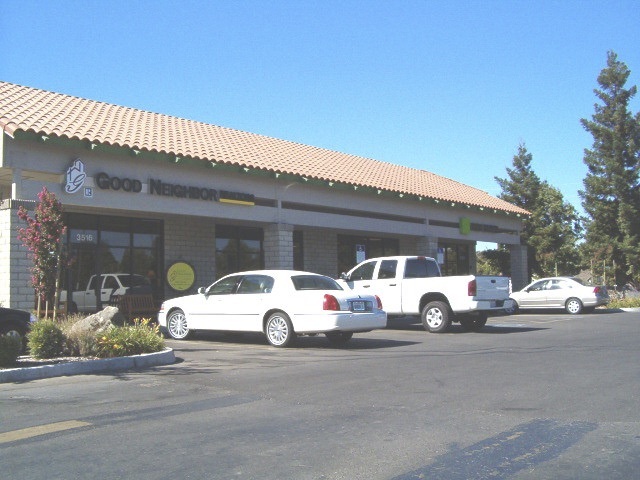 This Shopping Center is located at the intersection of two state highways, and is the only promotional power center serving Napa and Sonoma Counties. Comments: This Shopping Center is located at the intersection of two state highways, and is the only promotional power center serving Napa and Sonoma Counties. Stadium Retail Site is a 12.25 net acre infill project in the heart of Sonoma County’s and Rohnert Park’s Regional Retail area along the Highway 101 corridor. Truckee Crossroads Shopping Center opened in 1981, and is designed to service the needs of the local residents plus the thousands of vacationers who visit this resort area throughout the year. Full Description: A 100,000 square foot community shopping center anchored by a Albertson's Supermarket and a Long's Drug Store. Pad tenants include KFC and Cheese Steak Shop. There is a total of 44,318 square feet of shop space in the center. Store Specifications: Interior improvements include heating, one fixturized handicapped restroom, concrete slab floor, finished unpainted walls, electrical outlets, glass and wood store front and doors. Comments: Truckee Crossroads Shopping Center opened in 1981, and is designed to service the needs of the local residents plus the thousands of vacationers who visit this resort area throughout the year. Highway 89 is the primary Truckee off-ramp from I-80, and is the turnoff for Lake Tahoe, Tahoe City, and major ski areas including Squaw Valley, Alpine Meadows, Homewood and Tahoe Donner. In addition to Albertson's and Longs, other notable tenants include KFC, Subway, Porter's Ski & Sports, Village Pizzeria and Papa Murphy's. The Village at Weber Ranch location is particularly strong due to its high visibility on a major intersection, and its ability to take advantage of the substantial amount of existing and planned residential growth surrounding the site. Full Description: A 175,000 square foot community shopping center anchored by Save Mart Supermarkets and Longs Drug Stores. Pad tenants include Burger King and Tio Pepe's Mexican Restaurant. Other notable tenants include Hollywood Video, Mountain Mike's Pizza, Subway, Village Dental. Comments: This shopping center provides a great opportunity to service the extensive customer base in the surrounding trade area. The Village at Weber Ranch location is particularly strong due to its high visibility on a major intersection, and its ability to take advantage of the substantial amount of existing and planned residential growth surrounding the site. Save Mart and Long's provide excellent customer draws for the center. A 54,413 square foot neighborhood Shopping Center which is anchored by a 46,613 square foot Bel Air Grocery Store. Store Specifications: Interior improvements include heating, air conditioning, acoustical tile ceiling with lighting, fixturized restroom, concrete slab floor, finished unpainted walls, electrical outlets, glass store front and back. Retail shop space range from 40 to 50 feet deep. Comments: This shopping center is located in the heart of old town Elk Grove with a high number of new homes being built within a mile of the center. The anchor tenant (Bel Air) creates a significiant draw for the retail shops and the pedestrian oriented theme will create a considerable amount of patrons throughout the day. Located next to the Merced Racquet Club, adjacent to Merced College and a large residential area. This center captures present and future markets. Full Description: A 103,000 square foot neighborhood center anchored by Raley's Supermarket with approximately 27,500 square feet of auxiliary shops. 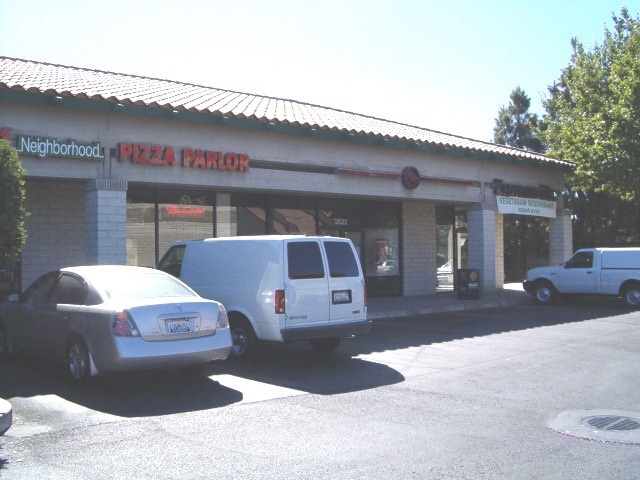 Store Specifications: Interior improvements include heating, air conditioning, acoustical tile ceiling with recessed lighting, fixturized restrooms, cement slab floor, finished unpainted walls, electrical outlets, glass store front and door, including rear metal door. Retail shop space is fifty (50) feet deep in Building 6 and sixty (60) feet deep in Building 2. Comments: Located next to the Merced Racquet Club, adjacent to Merced College and a large residential area. This center captures present and future markets. Access to the center is excellent due to its location at the intersection of two major arteries of Merced. "G" Street, a four lane, two way road, intersects with Highway 99, providing good access for residents of Atwater and other neighboring communities. Raley's offers a significant draw to this project.